Futura Form is pleased to add a new product group to its already wide product portfolio! DILOVASI, KOCAELI, TURKEY, April 5, 2019 /EINPresswire.com/ -- Our playgrounds offer a unique entertainment opportunity to children in compact areas with a wide range of models and designs, and they will be preferred by many facilities thanks to their functionality, fun themes, and safety. Each of our playgrounds complies with the highest quality standards accepted in the world. 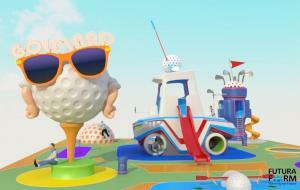 In these golf-themed playgrounds, children between 0-6 years will enjoy sliding through small animation slides with their parents, while children between 6-12 years will have a good time playing classical games with larger toys, and boost their self-confidence with the safe climbing equipment. 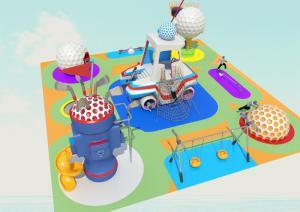 The new golf-themed playground from Futura Form is the best fit for those, who want to create a brand new and exciting playing atmosphere for kids, and young visitors will just want to spend all of their time in this playground with its brilliantly colored slides and climbing equipment, coming in all forms. 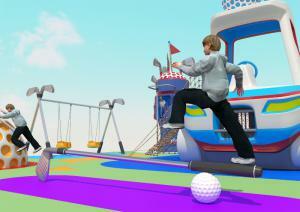 In addition to the golf concept, it is also possible to design different themes for all playgrounds, in line with the requests our customers. Futura Form Composites is a company working under Polin Group in theme entertainment industry. In addition to this, it produces GRP products, which require special production, for certain companies in different industries. Thanks to 42 years of knowledge and experience coming from Polin, Futura Form has become a founding and leading company for the theme parks and interactive playgrounds industry in a short time. It renders planning, design, production and assembly services in 10,000 m2 closed area with its big design team and 150 employees. With the intention to become a world brand, we will always do better by integrating our fields of work together with your support and trust, in accordance with our working and management principles. For additional information, contact Sohret Pakis at +90 262 656 64 72 or sohret.pakis@polin.com.tr.